Hope your holidays were great. As for me, I'm back to Russia for a couple of weeks and here we have Christmas on 7th of January, so holidays just ended. 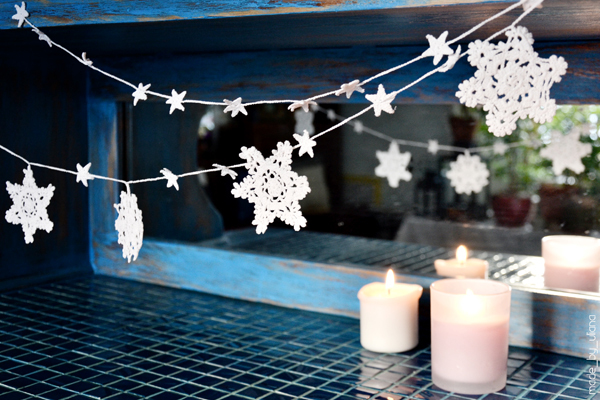 And today is the last chance to show my Xmas decor - a little crochet garland. 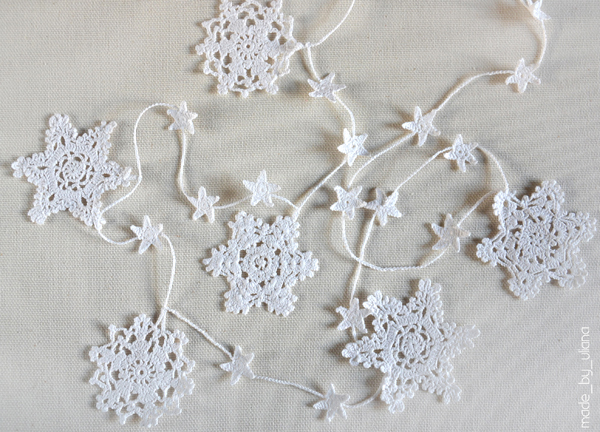 I love crochet snowflakes and dreamed to make them for a long time, the process seemed to be quite appealing. My name is Uliana, I'm an architect, live in Irkutsk, Siberia. 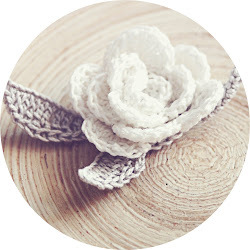 In this blog I mostly post about my craft projects, handmade things. The most of content - things I made myself. Hope you'll enjoy it! PS English is my second language, so I make lots of mistakes. Sorry for that, and welcome to correct!